End of Life (EOL): The date when Infoblox will cease limited support for a Major or Minor software version release and all maintenance and engineering for a hardware platform or software product ceases. Last Order Date (LOD): The last day that a product will be available for order from Infoblox and shall be removed from Infoblox’s price list. End of Life Announcement (EOLA): Issuance of an EOLA marks the beginning of the EOL life cycle for a hardware platform product or software product. The EOLA will precede the LOD date typically by 90 days. End of Software Development (EOSD): The date when Infoblox will cease engineering support for a Major or Minor software version release. End of Technical Support (EOTS): The date when Infoblox will cease providing Technical support. Major Release: Each system software release includes three numbers (x.y.z). The “x” represents a major feature release, which may include new features, bug fixes, and may or may not include software architectural changes. Minor Release: The “y” in the x.y.z nomenclature represents a minor feature release, which generally includes feature enhancements, bug fixes, and will not include software architecture changes.. Maintenance Release: The “z” in the x.y.z nomenclature represents a maintenance release after GA, which generally only includes bug fixes. Limited Deployment (LD): New evaluation releases with general maintenance, but a limited lifecycle. General Availability (GA): The date when a new Major Release or Minor Release is made generally available to technical support recipients. Infoblox periodically introduces new products, services, product enhancements and other offerings. As part of this process, older products and services may be discontinued. 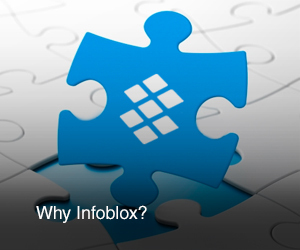 Infoblox is committed to making the transition from discontinued products to new offerings simple for our customers. As part of this, Infoblox will inform customers regarding important milestones including the initial EOLA notification, LOD, and EOL milestone dates, as described below. Infoblox normally provides EOL notification to our customers for discontinued products up to 90 days prior to the LOD. Customers can receive EOLA notifications directly by subscribing to alerts or checking EOLA notifications by registering for an Infoblox Support account on the Infoblox support web site (http://support.infoblox.com) or indirectly by checking EOLA notification postings on the Infoblox support web site. Customers may continue to purchase products until the announced LOD. Infoblox will provide technical support and service for products up until the announced EOL. Infoblox typically provides support for standard hardware systems for three (3) years from the LOD. Products being discontinued are typically identified as such on the price list 90 days prior to LOD. At LOD, discontinued products are removed from the price list and are no longer available for purchase. Support for discontinued products is provided only to customers who purchased a support contract prior to the removal of the product and services from the Infoblox price list. Note: Only products that are covered by a current Infoblox maintenance contract are eligible for renewal after LOD for the product. Replacement units provided during the period after EOLA date may not be identical to systems purchased prior to product discontinuation. It is possible that replacement units may require customers to implement network changes (such as reconfiguration, software updates, and hardware upgrades) and may affect service pricing when the support contract is renewed. Infoblox reserves the right to charge an additional fee for continued support of any discontinued products. Infoblox also reserves the right to reduce or amend support offerings available for renewal under this policy at any time and at its sole discretion, with or without notice. Infoblox virtual appliance software products generally correspond to a hardware product platform based on capacity or other constraint and have the same EOLA, LOD and EOL dates as the corresponding hardware product platform. Engineering support (before EOSD) applies only to the current Major or Minor Release versions during the Active Maintenance period and Limited Maintenance period for each version, as described in the Software Life Cycle table below. Infoblox will provide Engineering Support for the two most current Major Releases and their Minor Releases. For example, when 8.0 becomes Generally Available, Infoblox will provide Engineering Support for 7.x until 9.0 becomes Generally Available. Once 9.0 is released, Engineering Support for all 7.x releases will cease. When a New Minor release is Generally Available, Active Maintenance will shift to this Minor Release. Infoblox will continue to patch the previous Minor Release for a period of 3 months. For example, when 8.2 is Generally Available, Infoblox will continue to patch 8.1 for 3 months after which only 8.2 will be supported. Infoblox reserves the right to provide bug fixes, patches, and/or service releases only for the currently supported releases, and may require that the customer upgrade to that current version before applying the patch, fix, or service release. After a version release reaches the EOSD, Infoblox will no longer provide maintenance releases, fixes or patches for that version and the release will drop off the active upgrade path. Technical support can provide access to previously released fixes, patches, maintenance releases, etc. Technical support will not include nor will it create any new fixes, patches, maintenance releases or feature additions or requests for any version release that is past the EOSD. After EOL, Infoblox technical support will offer customers with current maintenance access to previously released fixes, patches, and maintenance releases on a reasonable effort basis. Technical support will not include nor will it create any new fixes, patches, maintenance releases or feature additions or requests for any version release that is past the EOSD. After EOTS, Infoblox will no longer accept technical support calls on that release unless specifically communicated differently by Infoblox. Infoblox reserves the right to change this EOL Policy and to reduce or amend its maintenance offerings available for renewal under this EOL Policy at any time, with or without prior notice. Infoblox reserves the right to charge an additional fee for continued support of products after the EOL or EOTS dates, and is under no obligation to provide support after EOL or EOTS. Infoblox also reserves the right to reduce or amend support offerings available for renewal under this policy at any time and at its sole discretion, with or without prior notice. The scope of services and prices remain subject to modification and change from time to time.